Not much has been going on lately, nothing worth writing about. 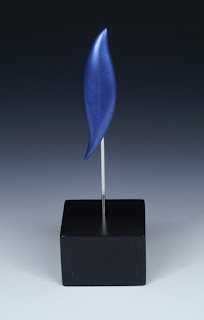 I am working on a couple brooches, but mostly I have been busy doing other things. 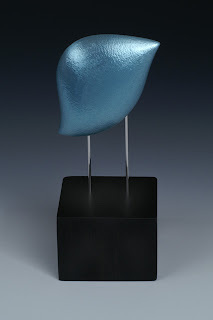 I just found out my ring got into the juried exhibition "Putting the Band Back Together," which will be up at the Savannah College of Art and Design Feb 22- March 9. The reception is March 7 during the SNAG Conference. I was happy to see a photo of my teapot in the article Creative Evolution, Deeply & Slowly by John Perreault in the Feb/March 2008 issue of American Craft. It is a review of the Cheongju International Craft Biennale. 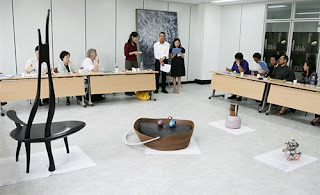 My friend found this picture online of the jurying for the Cheongju International Craft Competition. The pieces in this photo are the grand prize and gold prize winners. I ordered more wood for the stands last week. I got more ebony, and maple burl. 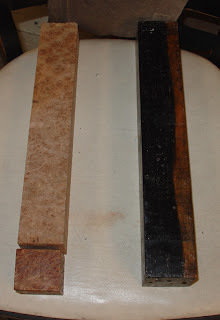 The ebony (on the right) has a lighter color streak going down one corner. I dont know if I like that. The maple burl is pretty cool after its been sanded and stained. 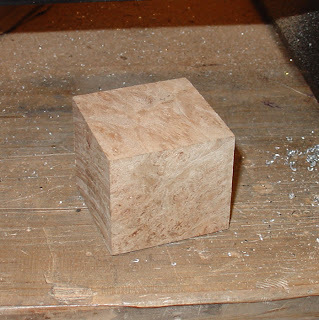 Using the milling machine makes getting the blocks of wood square much easier. 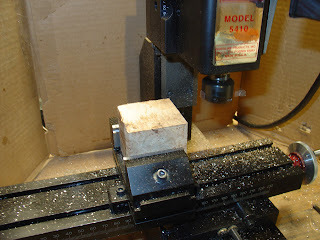 Before I had the mill I was using a belt sander, it was kind of a pain. I am using my PUK 2 welder to put together the stainless steel parts.